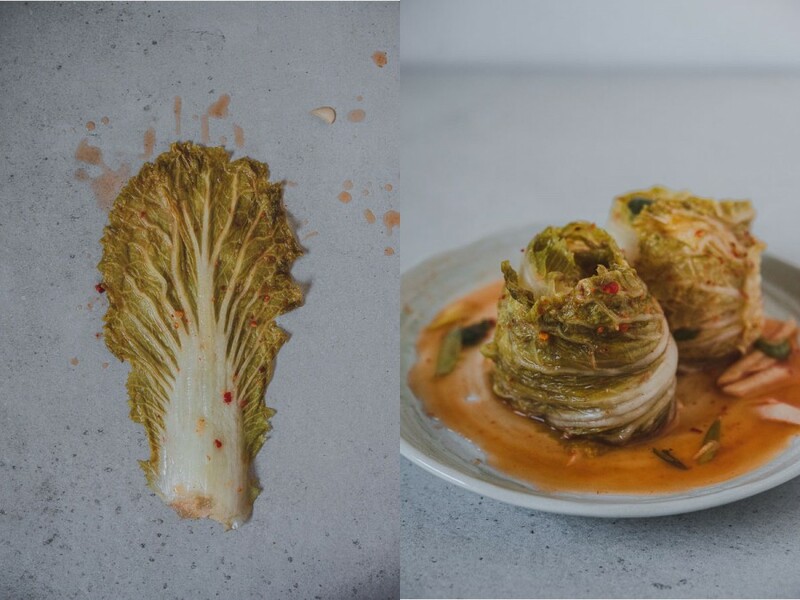 You probably all know what kimchi is, so I don't need to go into the details. This world most famous Korean dish is one my favorite thing ever! I love the taste, the texture, even the smell! There are hundreds of kimchi varieties in Korea. 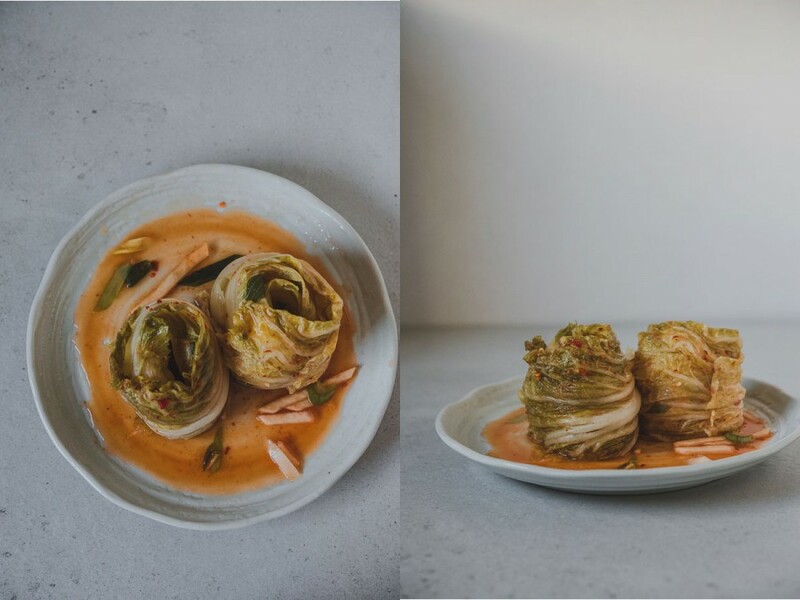 I'm sharing my favorite and the most common recipe made with napa cabbage. 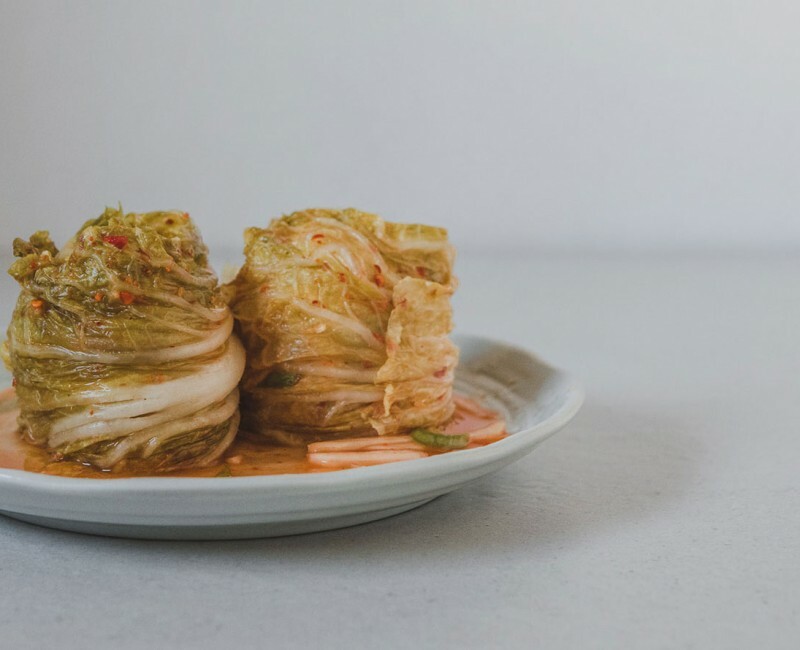 - Napa cabbage is easily found in every local supermarket, but if you have a problem with finding napa cabbage you can substitute it for a green cabbage or a savoy cabbage. 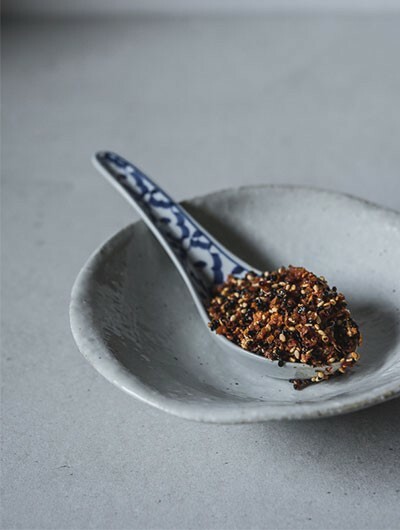 - The Korean chili flakes, Gochugaru, are available in the Asian grocery stores or the amazon, but they can be substitute with gochujang, red pepper powder, chipotle powder or any other chili paste or flakes. You will have to adjust the taste to you liking. Cut the cabbages lengthwise into quarters. In a large bowl, dissolve half of the salt in 6 cups of water. Thoroughly "bath" each cabbage quarter in the salted water, gently shake off excess water back into the bowl, and then transfer the cabbage to another bowl. Using the remaining part of the salt, generously sprinkle it over the thick white part of each leaf. Repeat with the rest of the cabbage quarters. Pour the remaining salt water from the first bowl over the cabbage. Set aside for about 2 - 4 hours, rotating the bottom ones to the top every 30 minutes.The cabbages should be ready to be washed when the white parts are easily bendable. Rinse thoroughly couple of times, drain well on a coolander. Meanwhile, make the glutinous rice paste. Mix the rice flour with 1/2 cup water, and simmer over low heat until it thickens to a thin paste, take off the heat and cool. 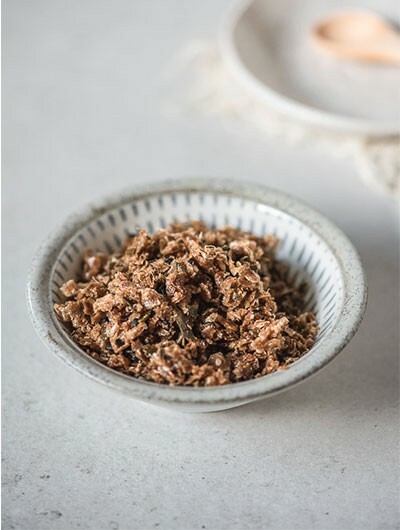 Once the rice paste is cool mix in all the remaining seasoning ingredients, and set aside. Cut the daikon, the carrots and the pear/apple into thin match sticks (use a vegetable slicer if available). Cut scallions into 2 cm long pieces. Transfer to a large bowl and combine with the seasoning mix. Using your hands, mix well to cover the veggies evenly (use plastic gloves to avoid skin irritation). Let it sit for 30 minutes to allow the flavors combine nicely. Cut off the center (the hard part) stem parts from each cabbage quarter, leaving enough to hold the leaves together. Place one cabbage quarter in the bowl with your veggie mix. Spread the layer of the veggie mix over each leaf. 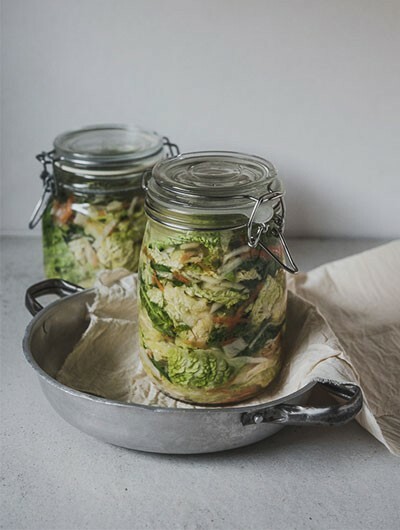 Fold and wrap the soft leafy part of the cabbage over the stem part and place it cut side up, in a jar or airtight container. Repeat with the remaining cabbages. Press down hard to remove the air pockets. 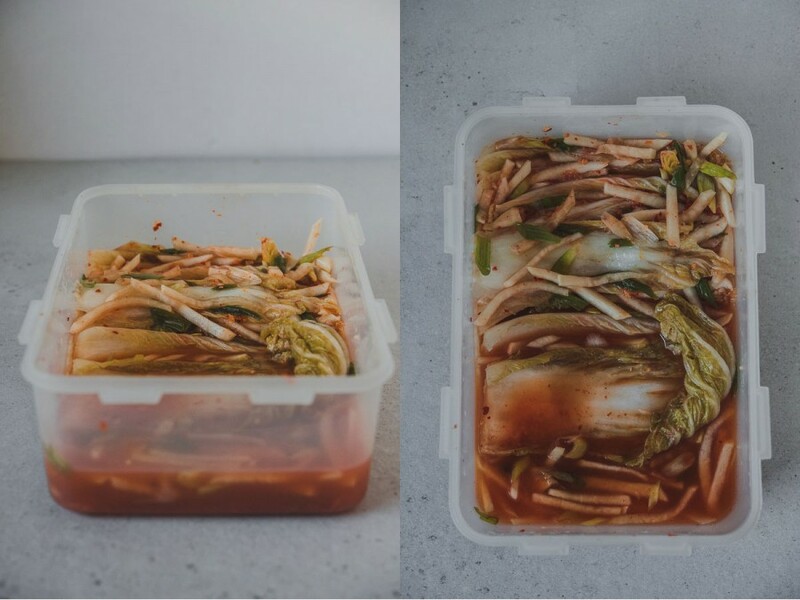 Rinse the bowl with 1/2 cup of water and pour over the kimchi.